*Photgraph shows the free standing fire on a hearth tile. This is for illustration only and is not included with the free standing fire. It was whilst in the grip of another cold, damp and miserable British winter (and spring) that Brenda McNeill finally decided that it was time to begin the search for a new electric fire. Read more here. Love my new fire it’s so realistic and is the focal point of the room now. Lovely fire, thought the front was made from a sturdier material instead of plastic however looks great and does the job it’s supposed to delivered within time frame given by gr8fires so overall happy with product. Fire makes a small clicking sound when on, not sure if its supposed to or not, doesnt stop it from functioning correctly tho just a bit annoying if tv not on or something. Very happy with our purchase, great fire , great price and great service , what more could you ask for!? Good price, quick delivery and compliance with note I had left for delivery person as I had to pop out on delivery day. Follow up email with photo showing my product delivered to my requested safe space. verry pleased good quality and verry good price. Excellent service and communication from start to finish. Lovely fire and excellent price, cheapest by far compared with other sellers . Great fire at a great price. Little bit noisy if you have not got TV on but I expected that after reading previous reviews. The only downside for me is the black power cable and it's lack of length. excellent centre piece for any room, very happy with purchase. Lovely = attractive fire. Everyone who sees it likes it. We wanted a chrome surround to replace the brass effect of the Cheriton, which was an excellent fire. The Detroit is perfect and we can thoroughly recommend it. We have given 4 stars for quality only because it doesn't have a remote control, but having said that the price was very reasonable. Very happy with my fire. It fits perfectly into my hearth. I like the fact that the coals are real and the flame effect is excellent. Very pleased with the fire and the price would recommend this company 5 star. 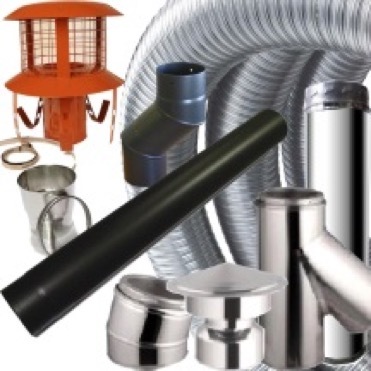 Gr8 supplied on time and at a very competitive price. The fire is not that easy to secure as it relys on positioning two screws on to which the back of the fire is blind slotted. A template would help. Lovely fire.. so cosy when lit up. Lovely fire and good value for money. I would recommend it. It came well packaged and was easy to set up. It gives out a lovely warm glow. Half the price of that quoted by local gas/ plumbing firm. Looks great, fits perfectly into fireplace, simple to fit. Very pleased. Excellent service, delighted with the fire it looks great in my lounge, such a cosy feel to it. We are very pleased with our purchase. It looks good in our fireplace. We bought it mainly for the flame effect which is lovely. Brilliant service, our fire arrived when they said it would, the optiflame looks lovely so welcoming, would definitely recommend GR8 fires also our fire. Ordering our new fire was painless, delivery was within 3 days and spot on to the hour. We would thoroughly recommend gr8fires, no complaints at all only recommendation. The fire and display are brilliant, we preferred the coals as they gave a realistic feel. Really happy with my purchase, looks like a real flame very cosy and warm . Great fire and good price. 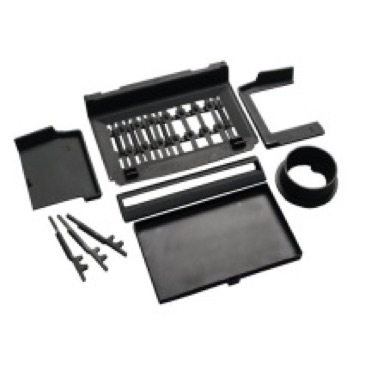 Excellent all round service and item, worth every penny. This fire is lovely and creates a cosy glow even without the fan on. It has replaced an old condemned gas fire and looks 100% percent better. Have only tested the heat because of current weather but looks as though it will be more than enough for my needs. I loved the white pebbles, but there weren't enough, so I had to buy some more from Dimplex. Your price was the best I could find anywhere online and I would not hesitate to use GR8 fires again. I am very pleased with my Dimplex Detroit electric fire on the whole. One slight disappointment was the coal effect is very realistic, but the white pebbles was only half the amount and nowhere enough to use alone. They never even half covered the bottom of the fire.So cannot use them unless I mix them with the coal effect, and dont want to do this. Apart from that the fire is great. After poor communication initially GR8 came through well and the fire arrived in just over a week from placing of order. Very pleased with the looks. Wont know for a few months how good it is in operation as summer is here. Pricing from GR8 was much better than Amazon. Fire just as I hoped - at an extremely competitive price. Delivery service excellent - kept well informed and arrived exactly when scheduled. Would definitely recommend. Very pleased with this fire,from ordering to delivery received excellent service,highly recommend gr8fires. I am currently using it with the white pebbles supplied and they look great when the light is switched on as the glow through the pebbles gives the effect of glowing embers. It also comes with coals which I will use in the colder months. Great purchase. The best delivered price i could find anywhere. Fire was bought as the wife " liked the look of it" after seeing in a showroom. However from £££ down to ££ inc delivery was a great deal.. Fire looks nice and does the job we need. A little noisy with the electric fan but i think most cheaper range fires are like this.. Gives good heat and the flame effect is nice. 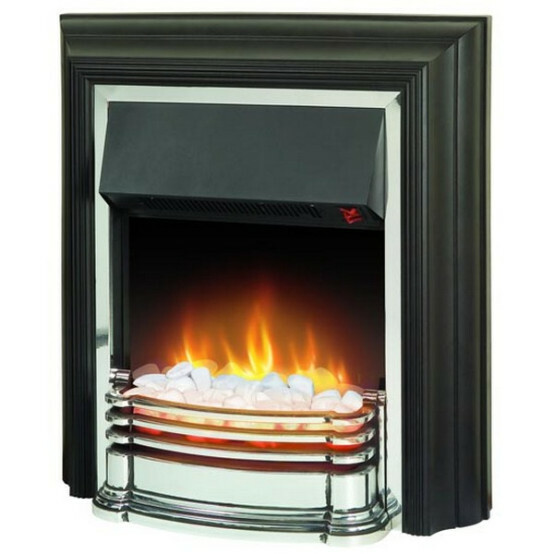 Delivery was a bit delayed i think because it was out of stock, not when i ordered it.This fire looks ok the optiflame is fine but is very noisey and spoils it,i would have to see and hear a fire with fan if buying another. Gr8fires reply: There will always be a sound with a blow heater fire. The movement in the flame effect in the optiflame fires is one of the best on the market and almost silent. Our old electric fire had become very noisy. 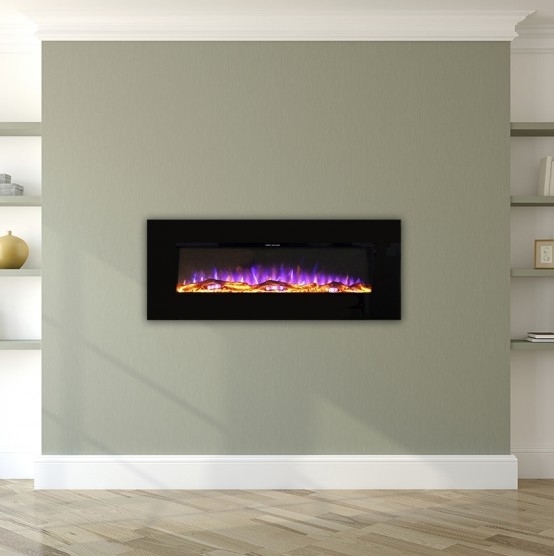 This dimplex is stylish with a modern style and very quiet. It is free standing and sits well in our fire surround. The choce of coals also adds to its appeal. The service from GR8 was excellent ; delivered on time and so easy to set up. Couldn't have been easier , ordered the fire ( which was £30 cheaper than other places ) had email to say when arriving , came at the said time ..... what more could you ask for ? Would definitely recommend !!! it was worth the money I paid. FAST DELIVERY AND LOOKS GREAT, IT HEATS THE ROOM QUICKLY ( 12X12 ) ON 1ST HEAT SETTING. Great service from Gr8fires. The fire itself is very realistic and gives a nice cosy look to the room. It was the cheapest price we could find for this particular fire and it was well worth it. It doesn't give out a huge amount of heat even with both switches on, but enough to warm the room to a sufficient level, and the image of a real fire gives the impression of more warmth. Overall, very happy with purchase. Thank you for excellent service, fast delivery, and we are very pleased with the fire. I ordered this item over two weeks ago and particularly asked for delivery on 8th October (yesterday). This was because I don't live at the delivery address, which is 100 miles from my home, and a special journey was necessary. Well, what a service - delivery was exactly as required. It is so unusual in these times when so many things go wrong through incompetence or pathetic performance. So well done to the team at gr8. I'll certainly recommend you to others. I viewed. Very attractive when just used as flame effect only. Optional choice of pebble or coal. Price good, unable to price match locally and arrived on time. It is not a heavy fire, which I found beneficial as had to carry up a flight of stairs. We are really pleased with the new fire,the price & service. Thank you. Mr M woodward from Staffordshire. Ordered this item on Thursday and it could have been delivered yesterday (Monday) had I not been at work. Excellent service from Gr8 fires.Cannot comment on the quality yet but it looks good. I an very pleased with this fire,, I would recommend this to anyone,, well done on delivery arrived at the correct time BRILLIANT. This fire has change the whole look of my lounge wonderful..
Everything from ordering to installing first class, very pleased with fire it makes you feel warm by just having it lit up!! Bought this fire to replace the one removed by previous owners and it looks great. Ordered it Thursday afternoon, arrived before midday Wednesday. At this price, whats not to like ! We recently bought the dimplex detroit fire based on reviews from customers who had already purchased it.We were not disappointed,It is easy to set up,it looks great and the flame effect has even fooled our dog into thinking the fire is on.Having coals and pebbles is a good idea as we can change the look of the fire from time to time,really pleased with our purchase and would recommend this fire. Ordering on-line was the easiest I have experienced. Price was competitive and speed of delivery was good. I bought this fire for my elderly mother, replacing a gas fire and she is finding the ease of operation perfect and she loves the realistic coal fire effect. I would certainly recommend gr8fires to others. The price, quality and delivery were all 5 star. The service from GR8 was fantastic and their website is so simple to use. We ordered our fire on a Wednesday afternoon and it was delivered on the following Monday morning. The fire is everything we expected and the choice of pebbles and coals is a great idea. This is a gorgeous fire, it has really made our living room look cosy and welcoming. The whole family love it! It looks like a real fire, and is of very good quality. The ordering and delivery service were 1st class. I would highly recommend both this fire,and the seller. This has been a great buy. Thank you for a fabulous service! This is a lovely looking fire. Looks as good as the picture and the flame looks really realistic. Although I did swig h on the fire to check all was working because of the current heat wave we are having haven't really tried it out properly. The service from GR8 fires was excellent too. Would highly recommend both the fire and the seller. This is an attractive looking fire which I shall use in a showroom for sale of antique quality armchairs for Seniors. and it will be placed within a genuine period pine surround. The 'flames' are very realistic and the fire emits enough heat for the customers to feel the glow and make themselves comfortable in my chairs while trying different models out. ~~The design is a sober and traditional grate which looks normal when not switched on and there is nothing overshiny or in poor taste to distract. I am very happy with my purchase and delivery was prompt after payment. LOVED THE FIRE. LOOKS STUNNING AS IN THE PICTURE. ABSOLUTELY BEAUTIFUL . LOOKS LIKE REAL FLAMES WHICH REALLY ADDS A COSY FEEL TO MY LIVING ROOM. I AM SO HAPPY WITH THIS PURCHASE AND ALSO APPRECIATED THE 3 DAY DELIVERY . EXCEPTIONAL SERVICE FROM YOU AND I COULD NOT RECOMMEND A BETTER FIRM AND PRODUCT. I am delighted with my electric fire, I have just the glow on while my central heating kicks in and it makes the room feel warm instantly. The fan heater is efficient and I don't find it too noisy. This fire, at the time I bought it, was considerably cheaper than B&Q and had free postage, a real bargain! This fire is great, it looks fantastic and being supplied with coal / pebbles is also a great feature - we were going to buy a similar fire from B+Q and add these for almost twice the price! Flame effect is very realistic and the whole unit looks far more expensive than it is - very happy. Gr8 Fires customer service was excellent, phoned them and pleased to speak to UK call centre, confirmed free delivery covered where we lived, and that fire was in stock and would be dispatched fast and with us Tuesday. Ordered online 10 mins later and it arrived a day early!